The “Spirited ￼Socialite…. is on the MOVE!!!! Posing on the #RedCarpet before Hollywood Confidential evening with “It Girl” Tiffany Haddish!!! The audience hung on her ever word too… It was like having an intimate conversation with a friend from the neighborhood… who made it BIG!! The spunky comedienne went on to share details of her difficulty getting work in the early days….She also opened up about the time she had very little money… and had to live out of her car. Despite this major setback in her life… Haddish says she always fixed herself up best she could… and kept pushing for breakthroughs. She remembers everyone with helped her… and never hesitated to share advice she received from them. This lady keeps it real! Like I said in a previous blog about “GirlsTrip” Haddish played the character of a person I said makes the BEST kind of friend! Loyal, dependable and a soul stirring BFF!!! Having a great sense of humor makes you love and appreciate rare souls like this forever…. It appears that ART imitates LIFE in this case… because Tiffany Haddish certainly appears to be a ride or die friend for REAL! Keep doing good things Tiffany!!! And GREAT things will certainly come to YOU!!! #showrunner @MaraBrockAkil #creator of #Girlfriends #BeingMaryJane & @LoveIsOWN presented @Essence #legendaward to #trailblazer #RalphFarquhar @epfarq19 #producer #creator #writer #marriedwithchildren #moesha & more! #career ￼Great points @iamstevejones I’ve taken every #acting ￼ #hosting ￼ #masterclass in #LA ￼ errrbody said: #WRITE ￼ I’m doing it #NOW!￼… #checkout #blogs http://www.sparkle-e.com ￼￼Y’all #FindMe! ￼I’m out here in these #lastreets & #events! ￼ Keep Checking this Blog to see where she’s been…. and where she’s going!!! Let Sparkle-“E” ￼ promote YOU… Your BUSINESS, ORGANIZATION or SPECIAL EVENT…. in aggressive marketing efforts, and SOCIAL MEDIA CAMPAIGNS! Hey! ￼ A well known MARKETING INFLUENCER… is right at your fingertips! The #Spirited ￼ #Socialite and #mediamaven ￼ @evettedabney is on the move!!! Logged in as Sparkle “E” Entertainment & Promotions. Log out? The carpet… is actually a beautiful shade of aqua!!!! This color scheme..is apart of a unique trademark… for @filmindependent Spirit Awards…. While the carpet is calming… and soothing for celebrities to stroll down for pictures…. the SPIRIT AWARDS…has earned the reputation…as the MOST LIVELY awards ceremony of the season!!! This #super #fun show…. is held right off of the pier….under a BIG TENT on Santa Monica Beach! Me: I’m glad you asked….. This show is a #big deal in the industry… because it’s a #celebration 🎉 of #independent #filmmaking 🎞 which is BETTER than EVER!!! ****FINALLY!!!! **** these films are getting the recognition…publicity… and attention they DESERVE!!!! This… opens the door for MORE wonderful projects to come….and they are coming…. and so are more grants… and finishing funds…. Jordan Peele’s Sci-fi horror psychological thriller…”GET OUT” was the BIG WINNER of the event. Jordan Peele snagged BEST PICTURE & BEST DIRECTOR!!!! We’ll get into more details about the 2018 award winners…. Even when it came to them joking about controversial issues in Hollywood ⭐️ right now… they had a good ole time with that…. “Let’s call names”… they said with glee…. they did it too…and they WENT HARD!!!!! I’ll just leave that right there… try to see if you can watch them in action online… keeping the show… and the audience ROLLING!!!! The John Cassavetes Award… was given to the best feature made for under $500,000 … and it went to Life and nothing more, written and directed Antonio Méndez Esparza. There’s sooo much FUN… lots of laughter…. food is plentiful…and drinks are flowing…..
EVER-Y-BODY has a good time!!!! It’s just the COOLEST thing… to celebrate the success stories of film makers who had dreams…. With every single guest leaving on cloud nine…After all… it’s what the SPIRIT AWARDS are all about!!! And now… we float…☁️ float on… to the Oscars…. Any amount… large or small is APPRECIATED!!! Crowdfunding campaigns are currently listed on GO FUNDME. Your generous support will most definitely be a blessing!!! Hollywood ⭐️rolls out the Red Carpet for the 2018 SAG AWARDS!!! The 24th Annual Screen Actors Guild Awards was hosted by Kristen Bell…. who did a fantastic job…as the first official HOST of the televised broadcast. And she was glorious in her role… as First Lady! Every.Shining.Moment!!! The SAG AWARDS were held Sunday, Jan. 21 at the Los Angeles Shrine Auditorium & Expo Hall…and broadcast on TBS and TNT.. I enjoyed watching it …and thought ~EVERYBODY~ looked fantastic! I’m so glad all the fellas have gotten the memo… and really stepped it up on the dress code! Women’s empowerment topics… were brought up quite a bit… while the Time’s Up and “Me Too” campaigns also surfaced throughout the show. I had the great privilege of attending an awards viewing party… at the Alex Theatre…. All the guests at the party…received wonderful keepsake gifts… and enjoyed a festive atmosphere while watching the show. There were tons of giveaways, raffles… while we enjoyed refreshments… throughout the course of the evening. Just WOW!!! Her character did NOT PLAY!!! This unforgettable role proves that life can conjure up a bizarre chain of events sometimes… to shake folks to the core… and get em straight!!! “How wonderful it is that our careers today can go beyond 40 years old,” said Nicole Kidman, who won best actress in a television movie or limited series for her “Big Little Lies” performance. You GO Nicole Kidman!!! Shining BRIGHT as ever… like the TRUE super star ⭐️ she has always been!!! Sterling K. Brown… a true STAND OUT in his role…I’m so glad to see how people have embraced this actor in this show… as well as the entire cast! if Sterling K. Brown won… could she announce his name…… when asked why??? Niecy said…”Cause he Black!! !” 👊🏽 bam! That line was honest.. truthful and direct… It was well received by the audience… and a proud moment indeed… when Niecy Nash proclaimed Sterling K. Brown… the WINNER!!! They are both incredible too…for OUTSTANDING performances in television…. They have embodied characters… that the audiences have latched on too… and can’t get enough of seeing!!! How great… for Julia Louis Dreyfus… and William H. Macy to create such memorable characters!!! Both have been fortunate to maintain tremendous career success for quite some time… and what a list of credits!!! The Actor award for performances by a motion picture cast went this year to Three Billboards Outside Ebbing, Missouri… For television drama and comedy ensemble performances… Awards also went to the casts of This is Us…and Veep. Rita Moreno presented Morgan Freeman with the 54th Life Achievement Award…. It was a love fest… full ⭕️ circle… when Moreno exclaimed that she was extremely happy… to present the award to Morgan Freeman… after he bestowed the same honor to her…during a previous show.. The “Electric company… was a super-fun kids show… where you could laugh… while you learned from a great cast! I remember that show VERY well… It was one of my ✨FAVORITES✨ as a kid!!! I’d race home from school to catch it…in the afternoons… and was delighted to see it broadcast again… on Saturdays!!! The audience applauded and cheered throughout the montage of outstanding film and TV roles… held by Morgan Freeman through the years! This BRILLIANT performer… has been in some of the BEST movies in Cinematic history!!! That voice! That rich and powerful voice! Freeman is also a well sought after voice over artist… who has narrated numerous documentaries… commercials and other major projects. “You see what I had to put up with?” Freeman joked. It was a heartfelt occasion indeed…for Freeman to receive the Life Achievement Award…. with all of his Children present. He said he was very HAPPY his family had flown in… from all across the country… to share in this great occasion with him. Felicity Huffman introduced a filmed memorial tribute to SAG-AFTRA members who have recently passed on… We lost a lot giants in the industry… but their fine work.. will be preserved on the Big… and small screens forever! …….and That’s a wrap for 2018… I honestly thought it was a GREAT show… and I was EXCITED that Most of the folks I voted 🗳 for… WON!!! Kudos to all the nominees… you guys rock!!! Let Sparkle-“E” 💎 promote YOU… Your BUSINESS, ORGANIZATION or SPECIAL EVENT.… in aggressive marketing efforts, and SOCIAL MEDIA CAMPAIGNS! A well known MARKETING INFLUENCER... Evette will make sure the consumer market takes NOTICE…. of what you have to offer! To arrange TALENT BOOKINGS, AUDITIONS, & MEETINGS with Evette Dabney/SAG-AFTRA —>See www.actorsaccess.com & http://www. 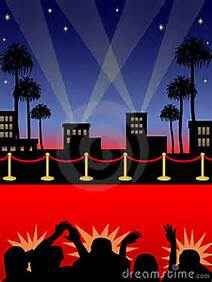 Author Sparkle "E" Entertainment & PromotionsPosted on January 22, 2018 Leave a comment on Hollywood ⭐️rolls out the Red Carpet for the 2018 SAG AWARDS!!! The “Spirited 🎉Socialite…. is on the MOVE!!!! #career ✔️Great points @iamstevejones I’ve taken every #acting 🎭 #hosting 🎬 #masterclass in #LA ✔️ errrbody said: #WRITE ✔️ I’m doing it #NOW!👩🏽‍💻… #checkout #blogs http://www.sparkle-e.com 💎🙋🏽‍♀️Y’all #FindMe! 😅I’m out here in these #lastreets & #events! 👉🏽 Keep Checking this Blog to see where she’s been…. and where she’s going!! !